March | 2016 | Why Is The Internet Broken? Issues installing Docker on OS 10.10 or later? Today I was trying to install the Docker Toolbox on my Mac. It failed. Because I was able to fix it and did not see any other articles on how to do this that specifically referenced this app or issue, I decided to write it up. Because, community! Docker Machine is not installed. Please re-run the Toolbox Installer and try again. Docker Machine installs by default to the /usr/local/bin directory in OS X. And when I tried to change that location in the install package, I didn’t have any luck. That directory is locked down pretty tight (700 permissions, my user as the owner). drwxr-xr-x   5 root    wheel  170 Mar 25 10:50 .
drwxr-xr-x@ 10 root    wheel  340 May  8  2015 .. So I turned to Google and found an article on Homebrew installations failing, but nothing specifically on Docker failing. I used the Homebrew workaround found in this article and it fixed my issue. Essentially, the command above does a recursive (-R) chown on the /usr/local directories as the logged in user (via whoami). If interested, I’ve written a couple other blogs on Docker. This week, we invited a previous guest back, John Spinks (@jbspinks), on to the podcast to talk about the new release of SnapCenter. John actually approached us to come on, and will be back again once SnapCenter gets its next update. 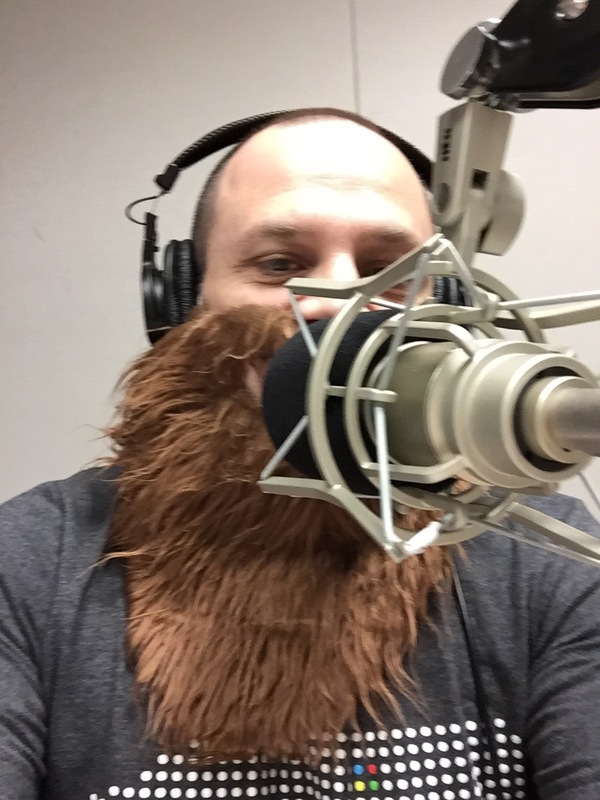 We also discussed my trip to Storage Field Day 9 and they make me wear the guest beard. This week was intended to be one where we recorded multiple podcasts, including 3 in one day! However, schedules change and SnapCenter was the only one we ended up recording. But, it’s a good one – Spinks lays it out nicely. If you noticed that I am late in delivering this post, it’s because I wasn’t actually behind the scenes of this episode. 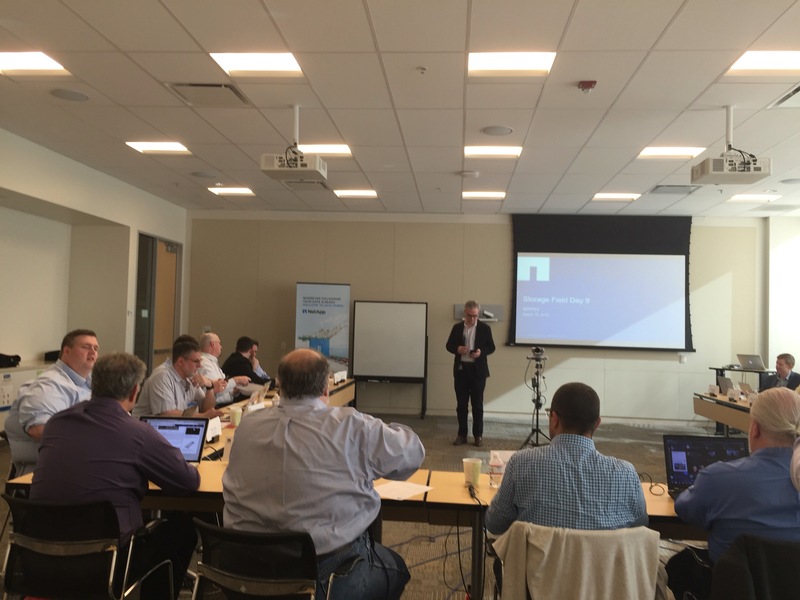 I was out in Sunnyvale at Storage Field Day 9, moonlighting as a live blogger/roving reporter. 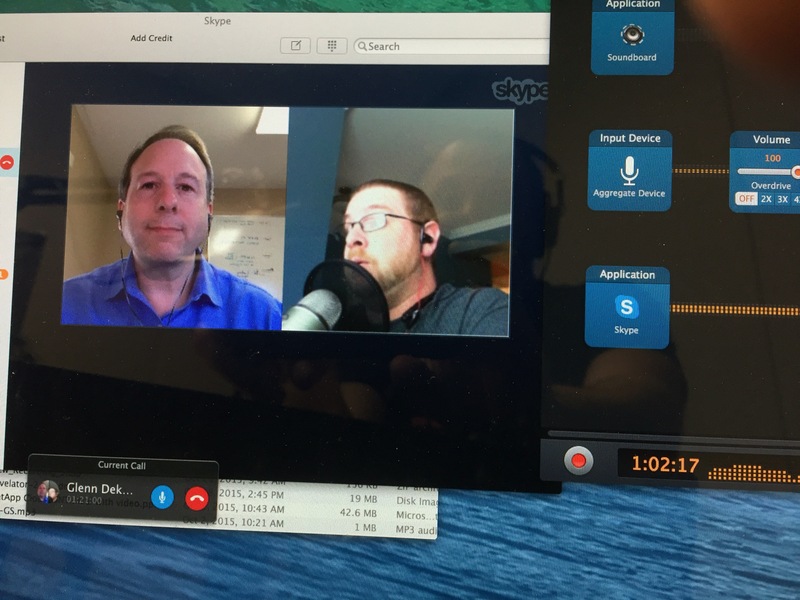 Thankfully, the podcast was in completely capable hands, as Glenn and Andrew nailed the latest episode on the new FlexPod product, Infrastructure Automation. Glenn sent it to me to edit on Wednesday afternoon and I knocked it out that night to make sure it got released on time. They left me a few language surprises that I had to edit, but overall, it was a solid show. Sounds like FlexPod has its own HCI-like feel to it now. While there’s technically no hypervisor in place, the solution seems to solve the simplicity and manageability aspects nicely. I’ll be back in the studio this week, as we’re recording a whopping FOUR episodes on Wednesday and Thursday. Be on the lookout for new shows on Storage Service Design and SnapCenter! 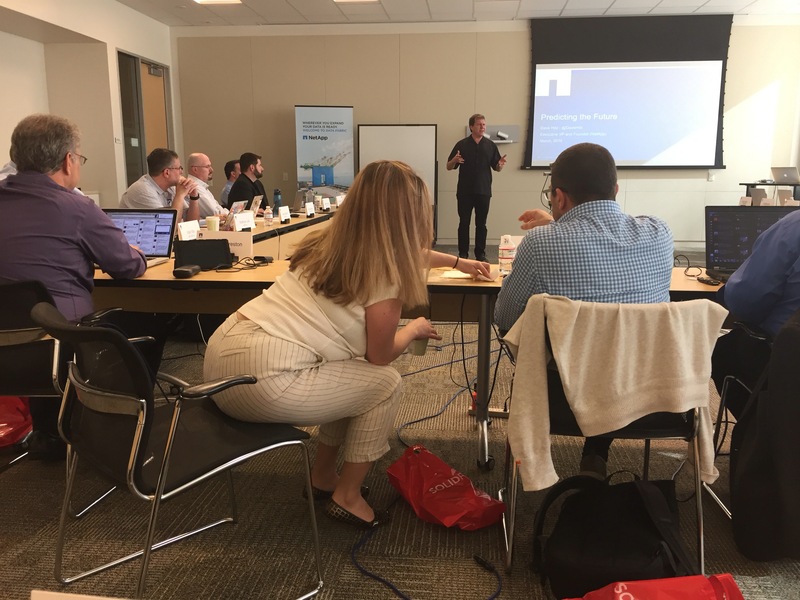 I was lucky enough to be invited to sit in on the Storage Field Day 9 here at NetApp headquarters in Sunnyvale, CA. The idea was to have me here to document, as well as rolling it all up into a podcast later. For this blog post, I’ll be live blogging the event! Keep checking back throughout the day for updates. 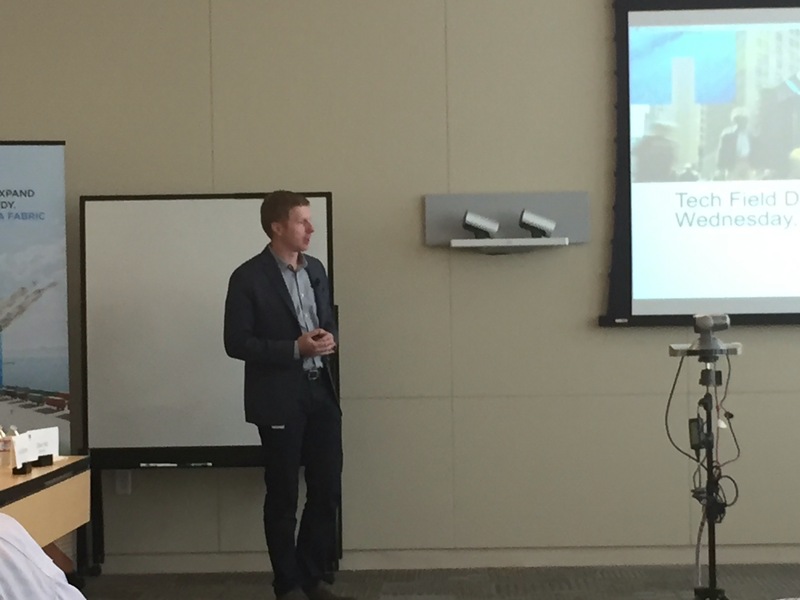 In addition to myself and Tim, we also have a number of other NetApp representatives on-hand to answer questions. I’m here early. I’m still on East Coast time. I flew in yesterday and got here around 6:30PM local time. They are setting up the table here in the cafeteria. We’re supposed to start soon. People are going to be arriving in a bit. The breakfast table is set. It looks a little last-supper-y. But I’m sure it’ll be fine. UPDATE: I’m an idiot. SFD not in the cafe. It’s in a conference room. Migrated there. All is right in the world. Foskett is currently laying down the ground rules for SFD9. We are LIVE! MC Foskett is laying the framework of what we’ll be doing. He promises not to predict the future. Good decision. 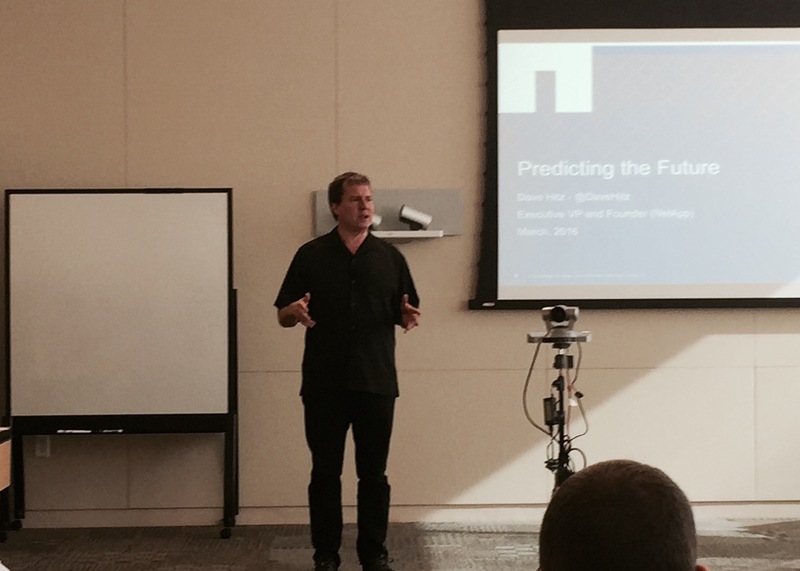 Now he’s talking transformation here at NetApp. Part of the transformation is about controlling costs, spending smarter. I’m on board with that. He’s also calling out the notion that SolidFire means the end of this successful business. Chris Evans is asking a nice question regarding the architecture decisions for the NetApp flash story. Hitz hints that it’s a strategy that’s timing based. Flash prices dropping were the driving factor in the re-direct. Success blinding us to the reality of the market. Tape hasn’t died. It’s the cockroach of the data center. Scott Lowe also doesn’t think disk is dead (yet). I agree with him. Still a place for it. I mean, WE STILL HAVE TAPE. We are at the precipice of all flash. Where does it go from here? Hitz says the E-Series is a hot race car with no windshield. Made for speed. Want a windshield? Get a helmet. AFF is more of a jack of all trades flash solution. Commodity hardware, web scaling with SolidFire. Hitz answers another Chris Evans question regarding if we are really in an All-Flash market. Compares it to manual vs. automatic transmissions. Full disclosure: I only buy manual transmissions. Howard Marks opinion: Parts used to build the storage doesn’t define the market. The applications do. Will I be locked in? Now talking NetApp Private Storage, AltaVault, Data Fabric story. 5 bucks an hour for ONTAP in the cloud on AWS! Buy or rent the car? Depends on the use case. Data moves in and out of the cloud based on business need. That’s where Data Fabric story comes it. Need a way to move it easily and as non-disruptively as possible. Hitz has covered what NetApp already does. Joe will come up and talk about the future. Enrico Signoretti asked about HCI. Fair question. Will be answered in Q&A. Joe CaraDonna has been summoned. Talks about how Cloud ONTAP started out as a VSIM. VSIM could be considered as the original Software Defined Storage. Data Fabric is all about the data. Three clouds currently supported with NetApp Private Storage: Amazon, Microsoft, SoftLayer. Failover between clouds in 15 seconds or less! Chris Evans wanted a demo of this failover capability. Real customers using this and asking for things like HA, cloud failover, etc. Not every vendor can do that today, nor in the near future. Joe’s moved to the AltaVault story. Back anything up to any cloud, using pretty much any backup product. No one in the room’s heard of AltaVault. But they’ve heard of SteelStore. So, that’s a win! Joe’s talking SnapMirror to Everything now and why that’s such a boon to people using cloud storage. WAN efficient backups. Fast, saves $$. Moves only deltas. Multiple platform support in the future for SnapMirror. E-Series, FAS, AFF, SolidFire, Edge. Joe’s talking about an upcoming feature called “composite aggregates” that allow you to do object store data tiering. Hot data gravitating to faster storage. SSDs in same aggregates as spinning disk! Dave Wright chimes in: This feature is way more important than a single slide can describe. Joe is being told to do the demo. So we are getting a demo. Demo will be real stuff in a lab. Futures. Not mock ups, faked, etc. Cloud Manager is being used (that’s currently available). Demo is of moving data between clouds. Data Fabric in action. Demo of moving data between clouds happens in just a few mouse clicks! Essentially, creating two instances – one in AWS (already created, has data – simply attaching), one in Azure. Next up – restoring to cloud. Just a few mouse clicks. Restore of 10GB of data = 25ish seconds! That’s a *full* restore. No incrementals. All done over SnapMirror. Cloud ONTAP in different regions and Cloud Manager – Available today! SnapMirror to FAS/AFF/NPS – Available today! Futures are mainly the inter-platform stuff. Hitz asked about if his time at GameSpy inspired him to invent the storage that eventually became SolidFire. Answer? YES! People will solve problems that are not solved yet for themselves if they want to survive. Fantastic opening by Dave Wright. Ignores the “let’s talk about all flash at NetApp” to uncover the lies that flash storage companies tell. Covers data reduction/complex metadata handling myths and why ONTAP fits. Hard != impossible. News flash: Dave Hitz wrote WAFL. He sees how well it fits with flash. NetApp has optimized ONTAP/WAFL for flash. Can’t just throw flash at the problem. My take: Designed from the ground up only works better if it’s a superior design. Oh, you want a ground up architecture? SolidFire is your answer. Big vendors are adapting faster than startups can add features. Modern datacenter is too diverse. No one can design for every use case. That’s where a diverse product portfolio comes in. As prices drop, it’s picking up. Sure, it’s a luxury for some workloads. But when you can get speed *and* disk lifespan near HDD prices per GB, why not? Would you turn down a Ferrari for the Yugo if it only cost a bit more? Did predict that the incumbent storage vendors will take the market from the startups, particularly in the enterprise space. They’re just not adapting fast enough. He hits the shot at the buzzer. March Madness. 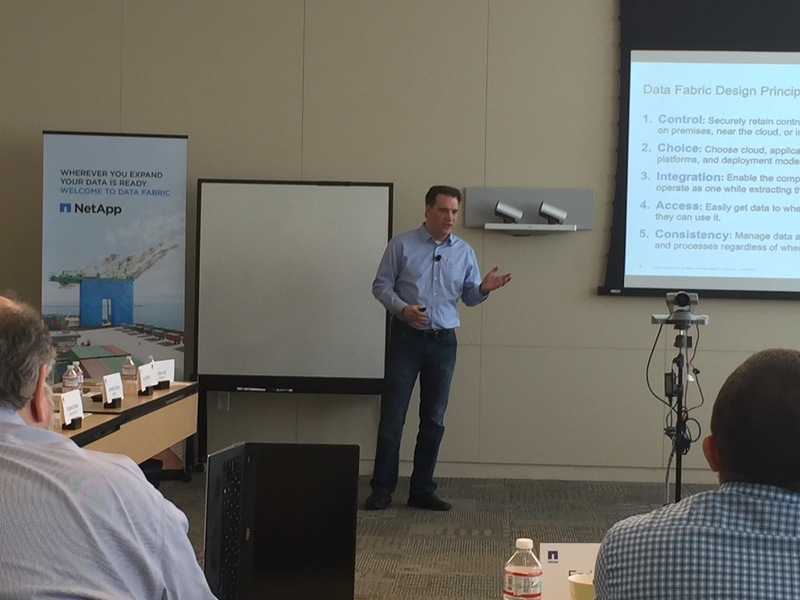 Q (@JPWarren): What are thoughts on overall storage market? A: Reality is that the storage market was overfunded. Unicorns! We’re seeing a normalization now. A: SolidFire does a lot of what people like about HCI. So, it can actually replace HCI in some use cases and still accomplish simplicity, scale out. Q (@JPWarren): Asks “other Dave” same question. Q (@ESignoretti): Asks about block vs NAS (like NFS of course). Hitz wants to make sure they don’t drown SF. We want to be a resource, not a driver. SnapMirror is priority #1. Foskett wrapping up. Over 150 viewers. Video will be edited and posted soon to review. Cameras going down. Back online at 2PM elsewhere it sounds! OMG, I deleted my volume. How do I get it back? I deleted my volume and I’m not seeing the space given back to my aggregate. How do I fix that? These questions started around clustered Data ONTAP 8.3. This is not a coincidence. Back in my support days, we’d occasionally get an unfortunate call from a customer where they accidentally deleted a volume/the wrong volume and were frantically trying to get it back. Luckily, if you caught it in time, you could power down the filers and have one of our engineering wizards work his magic and recover the volume, since deletes take time as blocks are freed. This issue came to a head when we had a System Manager design flaw that made deleting a volume *way* too easy and did not prompt the user for confirmation. Something had to be done. As a way to prevent catastrophe, clustered Data ONTAP 8.3 introduced a safety mechanism called the “volume recovery queue.” This feature is not entirely well known, as it’s buried in diag level, which means it doesn’t get documented in official product docs. However, I feel like it’s a cool feature that people need to know about, and one that should help answer questions like the ones I listed above. Essentially, the recovery queue will take a deleted volume and keep it in the active file system (renamed and hidden from normal viewing) for a default of 12 hours. That means you have 12 hours to recover the deleted volume. It also means you have 12 hours until that space is reclaimed by the OS. The recovery-queue commands enable you to manage volumes that are deleted and kept in the recovery queue. The above commands, naturally, should be used with caution, especially the purge commands. And the modify command should not be used to change the retention hours to delete things too aggressively. Definitely don’t set it to zero (which disables it). When a volume is deleted, the volume gets renamed with the volume’s unique data set ID (DSID) appended and removed from the replicated database volume table. Instead, it’s viewable via the recovery queue for the 12 hour default retention period. During that time, space is not reclaimed, but the volume is still available to be recovered. Volume "nfs:testdel" is now offline. That volume will be in the system for 12 hours unless I purge it out of the queue. That will free space up immediately, but will also remove the chance of being able to recover the volume. Run this command only if you’re sure the volume should be deleted. Pretty cool, too. I am a big fan of this feature, even if it means an extra step to delete a volume quickly. Better safe than sorry and all. New NAS related technical reports available for 8.3.2! Clustered Data ONTAP 8.3.2 is now GA! Several months ago, I wrote a post describing the new 8.3.2RC1 release and what features it includes. You can read that here. Now, clustered Data ONTAP is in general availability (GA)! If you’re curious what GA means, check that out here. Usually, releases don’t add new features between the RC and GA release, but due to popular demand, 8.3.2 has a few nuggets to add to the GA release, in addition to the things that were added to 8.2.3RC. In addition, a number of bug fixes are included in this release, so it’s a good idea to schedule a window to upgrade your cluster. Remember, upgrades are non-disruptive! This week, we welcome NetApp A-Team member Glenn Dekhayser of Red8 to talk about DevOps and NetApp Private Storage. The idea for a DevOps show was inspired by some things Glenn said on our NetApp A-Team Slack channel about a recent article by a tech rag/tabloid on the topic of DevOps and how admins must adapt to survive. To let Glenn further expound, we invited him onto the show to talk about it, as well as NetApp Private Storage. Glenn’s been a member of the NetApp A-Team for almost as long as it has existed and really knows his stuff. Plus, he can talk. We just wind him up and let him go. Unfortunately, he works out of NYC, so he had to be remote via Skype. And Glenn Sizemore was also dialing in. Andrew Sullivan was on his way to Austin, because he’s popular. Behind the Scenes: Episode 29 –VVols with Pedro Arrow! This week, we dragged former Tech ONTAP Podcast host Pete Flecha (aka @vPedroArrow) into the studio to talk VVols after our successful episode with SolidFire’s Aaron Patten last week. Getting Pedro into the studio was easy – we still keep in touch with him and he was happy to come lend his expertise to the podcast. He also happens to have his own podcast that he just started up at VMware: Virtually Speaking. I was glad to get Pedro into the studio – he was the guy who championed me to join up with the excellent podcast crew. The podcast went pretty smoothly – it’s as if Pedro had done this before – but in classic Pedro Arrow fashion, we had to do some re-takes the next day. He’s a bit of a perfectionist.